Prognoz provides a broadly based BI capability with several types of analysis – specifically OLAP, time-series-analysis, and modeling and forecasting. It also provides end-user tools, and specifically the ability to create charts and dashboards. However it does not compete with the likes of Tableau and Qlik Sense for data exploration and visualization. And although it provides ample support for various data sources, it is also lacking end-user data mashup capabilities, where a user might want to create their own combination of data and manipulate it in a unique manner. A variety of vertical and horizontal solutions are provided to cater for corporate, public sector and financial service business needs. All-in-all this is an unusual offering with a tightly integrated architecture, and will address the BI needs of many businesses. The development and data management tools are particularly sophisticated, and Prognoz provides good integration with the Microsoft technology stack (Office and .NET). 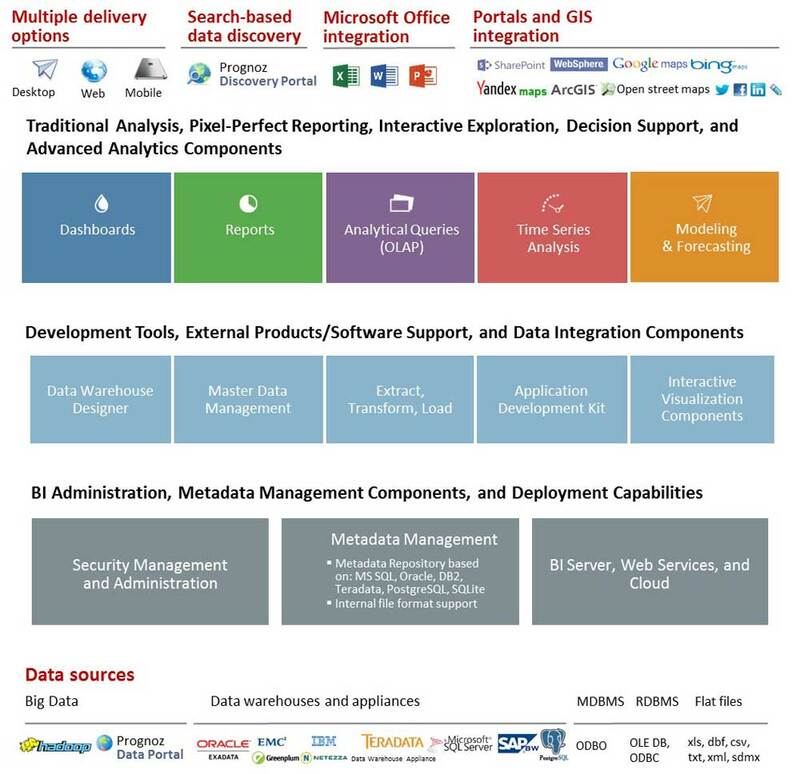 The data warehouse supports OLAP multi-dimensional analysis. Interactive data visualizations (charts, maps and spreadsheets) can access multiple sources and functionality such as filtering, sorting, calculations, 80/20 analysis, trend identification, conditional formatting and other analytical features are supported. Special support is provided for time series analysis, with statistical functions and data preparation functionality. Various transformations allow aggregation, smoothing, forecasting and regression, and users can specify validation rules. Automatic gap detection is available along with time series grouping, sorting, filtering, conditional formatting, and calculation of statistical metrics. Data can be viewed as both interactive charts and spreadsheets. Simulation, forecasting and optimization tools are provided in Prognoz, and support methods such as econometric, balance, optimization models and criterion functions. This allows what-if type analysis and scenario modeling. A library of over 300 mathematical and statistical algorithms and functions is available, and visual tools assist with model configuration and the selection of input and output series. The IT function and developers are supported with a rich set of tools. 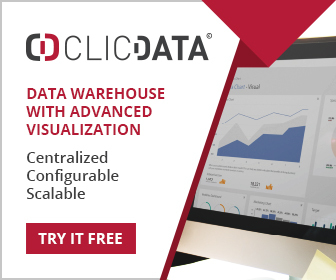 The Data Warehouse Designer is a relatively easy to use tool (via a wysiwyg interface) that can be used by skilled business users and support the automatic creation of the necessary structures. Hadoop is supported, and specifically the HiveQL query language. A scorecard designer allows a business strategy to be divided into component tasks, which then allow progress to be charted, and the relationships between tasks to be understood. A Master Data Management tool supports the creation of a dictionary via a visual interface. ETL tools are used for data import and export and is primarily wizard driven. An Application Development kit supports complex BI application development, including use of the functional capabilities of the Microsoft.NET platform. Developers can use the API to create any type of Prognoz Platform 8objects, such as reports and dashboards. High level components of Prognoz Platform can be used to design custom interface for creating and viewing these reports. Also low-level components such as controls are available. Components of Prognoz Platform 8 can be used in external development environments such as Microsoft Visual Studio.